The Atlantic 10 Conference announced Tuesday the future sites of the A-10 Men’s Basketball Championship. The league’s premier event will return to the nation’s capital at Capital One Arena in 2022 and then to Barclays Center in Brooklyn in 2023 and 2024. The Washington Valor, presented by MedStar Health, unveiled their uniforms for the 2017 season on Saturday, Dec. 10. The event was held at Beck’s Lounge located at Verizon Center. 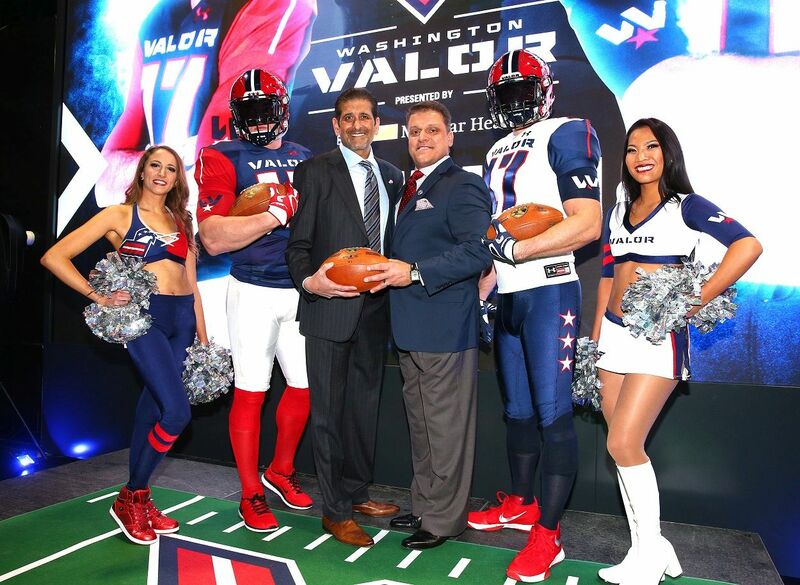 Monumental Sports & Entertainment co-owner and managing partner of the Washington Valor Roger Mody and Valor Coach Dean Cokinos were joined by Valor play-by-play announcer Grant Paulsen. All Washington Valor games will be broadcast on Monumental Sports Network. The Washington Valor will hold a free agent open tryout on Oct. 8 at Verizon Center as they launch their inaugural season presented by MedStar Health in 2017. Registration will begin at 8:30 a.m. and the combine will take place from 9 a.m. – 3 p.m.